If I haven’t had a pint in a particular establishment, it is with trepidation that I make the order as you never really know if you’re going to get dealt a bum-hand. Thankfully, this was not the case in Becky Morgans; a few excellent pours landed in front of us, ready for the drinking. Look at these beauties. They settled perfectly, nice bit o’the cream & the taste was good. 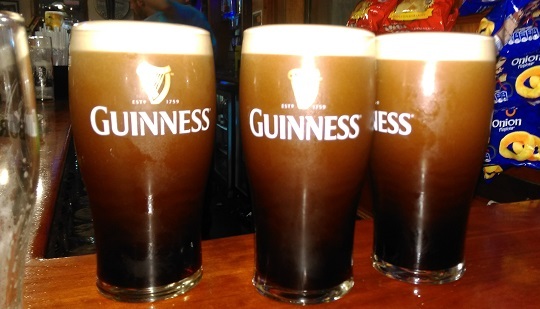 The pints here are solid, as they should be, worth going back for more. Unfortunately, the clock was against us & they wouldn’t budge on a sneaky after-hours pint so we had to leave it there. A nice spot with good pints of Guinness; will definitely be back here for a Black one.